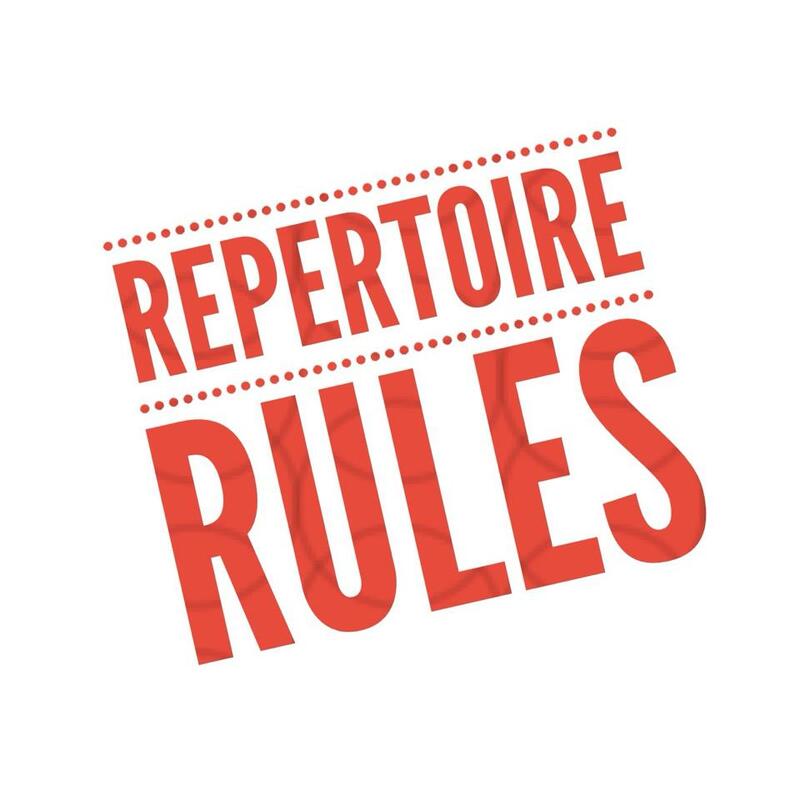 These rules are rules about students and repertoire, but really these are more rules for piano teachers… So for any students reading this post – this is the stuff your teacher should know! In the 11 month history of my blog I’ve discussed how students having access to more books of music is going to have a positive impact on their musical literacy, and how learning a large number of pieces each year will have commensurate educational benefits. I’m not going to rehash either of these posts, but rather cut straight to: what are the rules we need to apply to students and their repertoire? First up: a rule of thumb. If your student learns less than 26 pieces per annum they will be bored. They may not tell you they are bored, but they are. If learning 6 pieces a year truly engages their curiosity they must be almost entirely disinterested in learning to play the piano. On the other hand, you may have a student who only learns 6 pieces a year with you; they are busy finding their own repertoire (jamming with friends, composing their own songs and pieces, playing songs they listen to on their iPods, playing pieces they’ve discovered on YouTube, accompanying worship services at church, accompanying friends at school, and so on) which makes up the 20-piece deficit in order for a piano student to not completely die of boredom. Second: a rule of development. Once a student has hit 15 years of age they get to have a very large say indeed in their repertoire; before a student reaches 12 years of age they get basically none. Or let me put that in the correct developmental order; children under the age of 11 don’t necessarily know what they like, because they haven’t tried it yet, and further, they may think they don’t like something via some truly superficial or temporary rationale (such as a scary looking key signature or because they can’t already play it). Children at this developmental stage don’t have the requisite knowledge and insight into learning (and learning the piano) to construct their own programs of study. Don’t let them. On the other hand, a student over the age of 15 is in the throes of forming their identity and finding ways to take greater control over their own lives. Repertoire choice is the perfect zone for a teenager to exercise agency – you literally cannot make them practice what they do not want to practice, and you certainly can’t stop them from playing what they like. Take advantage of this! Students around this age will research their own repertoire, and your job becomes akin to that of a counsellor, guiding their choices rather than restricting them, showing the student the best means of attack rather than discouraging them from their planned endeavours. Next: two rules of motivation. Interesting music is interesting to learn and Almost-instant gratification is very gratifying. It is tautological to state that interesting=interesting and gratifying=gratifying, yet our profession as a cohort hasn’t quite grasped these two basics: students will be interested in learning music that is interesting and students love hearing themselves playing music right from their first encounter with the score/piece. I’ll write more detailed blog posts on each of these two ‘obvious’ rules in the weeks ahead. A rule of context: The more students can put their music into a context the more excited they are to play that music. Context can be as simple as music the student is already familiar with because an older sibling learned to play it, or that it featured in an advertisement on television, or the student has watched performances on YouTube. Context can be biographical, historical, technological, technical, sociological, interpersonal. A piece of music free of context is a piece students will be ambivalent about investing time into. And finally, a rule of pacing. For each new technique, skill or understanding a new piece requires a student to gain, add another week to the length of time it will take the student to learn the piece. So if your student has never played in F sharp minor before, in a 9/8 time signature, with double sharps, mordents, demisemiquavers and dotted semiquavers before you will be looking at a 7 week ‘acquisition’ process prior to being able to work on performance aspects of playing the piece. Ideally a new piece will have no more than 2 new elements, so that students are quickly moving into performance learning (and sounding as if they are playing music). And of course, if they are learning new pieces all the time they will have gained 26-50 new techniques/skills/understandings within a year without really trying. These rules are all focussed on different aspects of student experience, but all come down to one thing – creating conditions favourable to joyous learning and performance. Next, of course, is the issue of transitioning students from their almost repertoire-free modes of learning (3-6 pieces a year) into a repertoire-rich mode of learning. See the forthcoming blog post Repertoire Rules (for students): How to Transition. Not sure that I’d agree with your first rule of thumb. 26 pieces in a year? Really? Whilst 6 pieces is too low I would doubt that 26 pieces (or 2 pieces every week, hang on take out holidays and use 33 week teaching year, almost a piece a week) is possible by even the most gifted students. Even if it were possible how well can they really have learnt a piece in under 2 weeks? If they can learn it well then I would question whether the piece really stretches them. Would be interested to understand more behind you rational for this point. I’ve talked about this a bit in my post on ‘quantity’ (referenced at the start of this post), but I’ll come back to this topic in another post in a ‘rules’ approach over the next few weeks. I guess it comes down to the value of ‘stretching’ as compared to the value of ‘learning’; I know that many teachers assume that a student cannot learn something from a piece without it being at the furthest extent of a student’s ability to attempt it. But even just putting that concept into writing makes it seem self-evidently dodgy, to my way of thinking. My students, even the least ‘gifted’ (a somewhat troubling concept from a number of perspectives), each learn at least 26 pieces a year, and cannot imagine so boring a situation as being restricted to say 1 piece per month!! Perhaps I do agree with you, what do you mean by learning?? If a student learns 26 pieces per year how thorough can that be? Maybe it’s a question of semantics. For me learnt would indicate a thorough knowledge and ability to play a piece with no errors in pitch/rhythm etc. Learnt, though could equally mean a more cursory glance which gives and appreciation of a piece and its techniques without actually mastering it. I can see the value in both and would certainly prefer to move on quickly to a new piece even if all parts are not secure. I really do mean a thorough learning (at least 21-22/30 in an ABRSM exam, preferably more like 25 or higher). This is more easily accomplished when the student has the kinds of skills learning lots of pieces delivers! Things like learning the articulation accurately in the first week, rather than laminating the correct touch onto the ‘notes+rhythm’ that may have already been practised for 10 weeks or so. I’ll write in more detail about this. But it is a definite change of perspective as a teacher – learning is more focussed on performance and musical ideas than it is on note-acquisition. I agree that it is far more interesting and exciting for both students and teachers to be learning lots of different pieces. Libraries are a great resource for this especially for older pupils. It doesn’t have to be in depth learning – just flicking through a book and trying out new music is still worthwhile. Thank you so much, Elissa! This is such a succinct, straightforward post on this topic and really gives me helpful direction as a fledgling piano teacher encountering the challenges of older intermediate students for the first time. And from my own experience, piano lessons went from killing my love of piano to empowering me to take my love of music to new heights when I went from a teacher who taught repertoire at the “furthest extant of a student’s ability” level to a teacher who gave me interesting but very attainable pieces at a faster pace. My confidence and willingness to work increased greatly and reconverted me to classical piano music. So I am a firm believer in that approach! Hmm, I think I’ll wait for follow up posts to see how this develops. You say thorough learning takes place of 21-22 pieces in a year but then say learning articulation accurately in the first week. I go back to my earlier point, given we typically only teach in the region of 33 lessons a year this gives 2 weeks at most to ‘thoroughly’ learn each piece. If we do articulation in week one does this then mean everything else is learnt in week 2?? Or perhaps it depends on definition of piece. If you are talking simple exercises then the number of ‘pieces’ you suggest would be possible. However, do I think that 21 ABRSM exam pieces are possible? No. If it is then the music is too easy. I think most teachers could find 30 pieces that a student could learn in a year. Our job however, as well as promoting fun and enjoyment, is to stretch, challenge and motivate. It might be nice for a while to rush through more simple music but how rewarding and motivating is this ultimately? I do agree with the general principle here of learning at an increased speed. I would however not put an exact number on the amount of pieces. Nor would I want this to be a constraining factor on any student – they do learn at different paces. They also adapt to different styles/techniques etc at different speeds. There’s no reason students can’t work on 5 or 6 pieces at a time. Stretching, challenging and motivating are not simply achieved by giving students pieces they cannot play through themselves. To achieve an excellent performance we need to look at far more challenging things than playing accurately…. And there are many things we fail to teach when we restrict students to a starvation musical diet. But yes, rather than have a conversation in these comments I’ll post on these aspects in my blog – and then converse from there! Hello everyone. I’ve learned that if students are going to acquire comprehensive skills, then they must frequently go through the process of approaching new repertoire, mastering it, and performing it. Plus, for young performers to build confidence and enjoy sharing their music with others, they need to have many pieces in their repertoire that they can perform easily. So, I concur that students benefit from learning a substantial number of attractive, accessible pieces each year. But, as Mike suggests, students must learn their material deeply. That is, both quantity and quality are essential, whatever the total number of pieces might be. Gerald, I couldn’t agree more – if a student is only learning a piece to be able to plod through the notes then this is not what I would call ‘learning’. I think Mike’s real query in these is regarding asking students to learn music that takes them longer to learn (to ‘stretch’ them), rather than asking them to learn it more deeply – as I certainly do not advocate learning a piece in a shallow fashion. Ideally a student will know the piece well enough to be able to use if for a variety of purposes – performance, exploration of the historical period, improvisation, arrangement, really the list is as endless as the curiosity of the student. I find that my younger students (beginners) “pass” at least 5 pieces per fortnight, learning 5-6 short pieces a week. I really can’t imagine them learning the same songs for 4 weeks, would not only drive them to boredom, but drive the parents and myself to crazy-land! The intermediate students (Gr. 2-5) pass about 2-3 pieces per month, whilst getting a harder piece that they may work on for a month or two. So, so far, I’m on track for the 26 pieces per annum. However, when I get to the deep end, with the higher grade students, and the parents being so ‘exam-oriented’, I find them passing maybe 2-3 works every 2-3 months, and students with weak sight-reading skills could take up to months to pass 1 song! I would love to learn how I can get through 13 (half or 26) pieces per annum for the more advanced kids with them still taking an exam per year. Thanks Elissa! Hi Elissa, Thanks for your posts. They have engendered some really interesting discussions amongst my teaching friends. I’m really looking forward to your follow-up article on how to transition students to this new model of teaching. I’ve been using a repertoire based approach for about five years and find it works really well with students whom I start as beginners or who transfer to me after only a year or two of lessons. I’m finding it really difficult with students who transfer to me at around 3rd/4th grade or higher. I would love some tips on how to work with them to transition to the benefits of repertoire-rich learning. Thanks Brenda! And thank you for the nudge to write and post the promised follow-up entry!! The beginning of the year is exactly the right time to be thinking about this (for any of us who take on transition students)….. Ever mindful that “our students need to own many books of print music ” I was returning from the local book coop clutching a bunch of sheet music that I’d picked up for a song (ho ho!) and I bumped into an aquaintance who said that she was learning 5th grade piano. Now this lady is a lot older than the 15 years where students should gain some autonomy over their repertoire. The talk turned to repertoire and it quickly became apparent that she had no idea the syllabus was more than the pieces in the Series 16 book! I went on to explain that I’d made myself a CD of all the recordings I could find from the 4th grade syllabus (about an hours worth) and play it in the car so selecting pieces is a matter of saying “Oooh I like that, I’ll play that.” 🙂 I don’t think she believed me that its legitimate to play pieces outside the series book! So why has her teacher never mentioned the 100 or so pieces in the syllabus? She said the pieces in the set book are boring. Aren’t they also boring to the teacher? Why is the syllabus (in my limited experience) kept so secret? I guess buying the current series book used to be an economical way of “doing” a grade, but in this day and age of IMSLP, where 2/3rds of the syllabus is available online, it seems an unmusical way to teach. (Obviously I’m not suggesting that you teach that way). I think that the AMEB publishing the syllabus online, as the NZ board does, would be a step in the right direction. It would also save the 500 or so spurious pages I had to buy along with the piano syllabus!